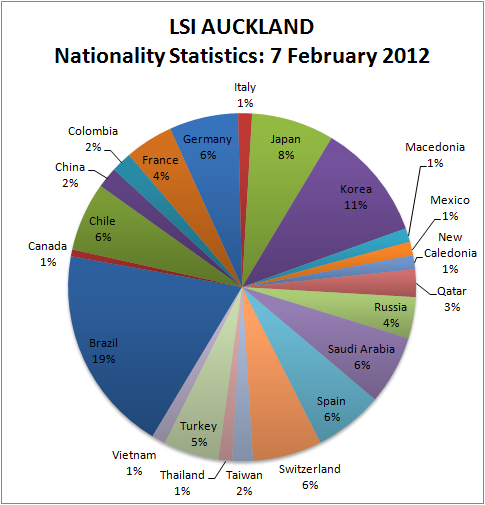 LSI Auckland blog: Where are our students from? Where are our students from? Brazilian students are popular this week! Language Studies International - Auckland. Simple theme. Powered by Blogger.